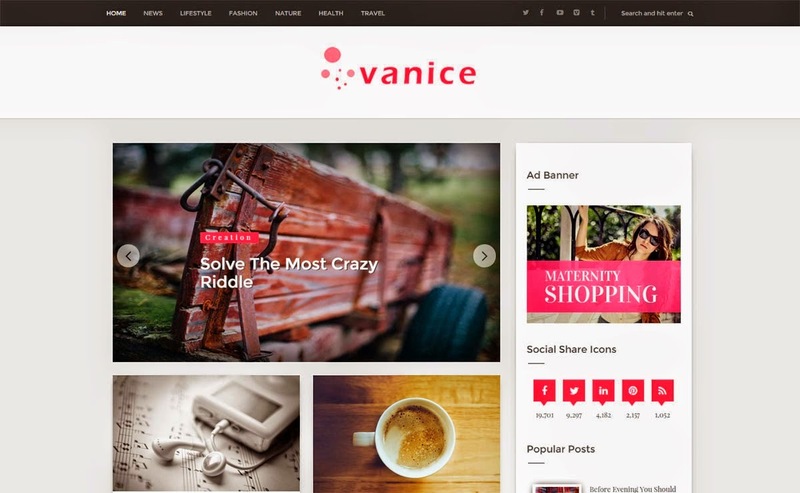 Vanice is a magazine style blogger template ideal for personal blogs, news, magazine and fashion gossips blogs. Like all other templates we have paid a lot of our time on the design of this template and it's working, just to ensure that you get a perfect blogger template for your blog. We have added all the needed widgets and also we have added few shortcodes to help you in easy customization of this blog.